To describe politics in Tenerife, we should first consider the government of the island and, to do this, it's necessary to start at the top: the Spanish royal family. 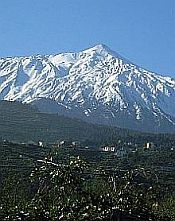 The monarch is the apex of a large pyramid, with Tenerife at the bottom. Here's how all the different layers lead from one to the other. After an election, the Spanish Government is formally appointed by the monarch - at the moment, King Juan Carlos I. They then serve a term of four years in the Spanish Parliament, or Cortes. The Cortes, like most equivalents in other countries, has two chambers, El Senado (the Senate) and El Congreso (the Congress). Members of these chambers are known as Senadores (Senators) andDiputados (Deputies) respectively. The new Prime Minister then forms his cabinet from his party's elected representatives. 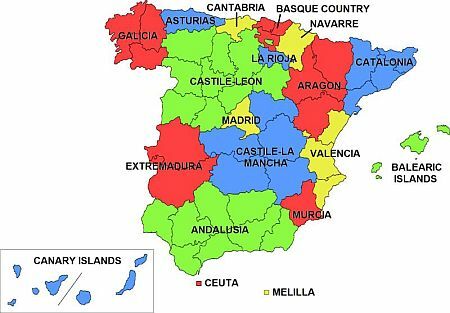 Under the main Spanish Parliament, the first sub-division consists of the various Regional Governments. There are 17 in all, each having their own President, Parliament and High Court. These also serve a term of four years. In Tenerife, this is the Gobierno Autonomo de Canarias, or the Autonomous Government of the Canaries. 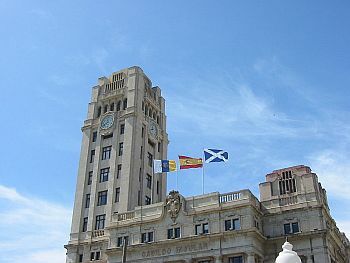 Although Central Government is responsible for law and order, international affairs and other things such as airports and shipping, the Spanish Constitution allows for a certain degree of autonomy for this region. Within this autonomous Parliament, there is a delegate from central government, representing the Government's national interest and exerting a certain amount of control, but the region itself has full jurisdiction over how their share of government money is spent. The present political party currently holding a parliamentary majority in Spain is the Partido Popular, or Popular Party. The Coalición Canaria, or Canarian Coalition, formed in 1993, took over jurisdiction of the Canary Islands from the then ruling party, the PSOE, in 1995. With the result of the latest general election, in November, 2011 and the landslide victory of the People's Party, the CC may now have to form a pact with the PSOE, if they wish to continue their governing role. We now have a further sub-division of the Canary Islands: the two provinces of Las Palmas and Santa Cruz. 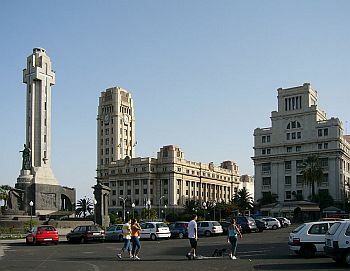 Las Palmas de Gran Canaria covers the three eastern islands, including, with Gran Canaria, Fuerteventura and Lanzarote. The province of Santa Cruz is made up of its own Tenerife, plus La Gomera, La Palma and El Hierro. Below that, each individual island has its own Cabildo, or Town Hall, with yet another President in charge. One feature of these lower echelons of Spanish government is that they are given a large budget by Central Government, to spend as they see fit. These Cabildos are a sort of Town Council, but with considerably more power. The Cabildo de Tenerife, or Council of Tenerife, is housed in the Palacio Insular, or Island Palace, in the Plaza de España in Santa Cruz. The Council was founded as long ago as 1913 and, after being based at various locations through the years, ended up at its present site in 1940. As there was a world war in progress, the military commander-in-chief at the time had his eye on the new building to use for military administration, so the Council had to move swiftly to claim occupancy. Nonetheless, they still had to share the premises with several other official departments, including, for a time, the Inland Revenue! These days, the Island Palace is used exclusively by the Council.